Our golf camp, run by GSB varsity golf coach Mike Cascini, is designed to introduce the game of golf. Students will learn etiquette, basic golf rules, putting, chipping, and full swing. The week also includes various skill-based games and activities to improve the students’ golf skills in a fun and engaging learning environment. All items should be labeled with camper’s first and last name. 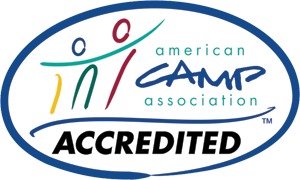 Campers should dress appropriately for activities (e.g., sneakers, shorts, and t-shirts). If you will be combining Golf with another half-day Hi Hills program, your child will be provided lunch each day. Beginning at 11:55 a.m., parents should enter the West Gate and follow the signs for “Pick-Up” at the Lower School entrance. Please form one line. Before pulling forward, wait for the car in front of you to finish picking up campers. Team Members will be there to assist campers and help them into the cars.